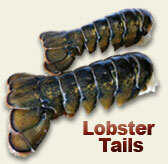 Fresh Maine Lobster and Maine Lobster tail Delivery to your door. 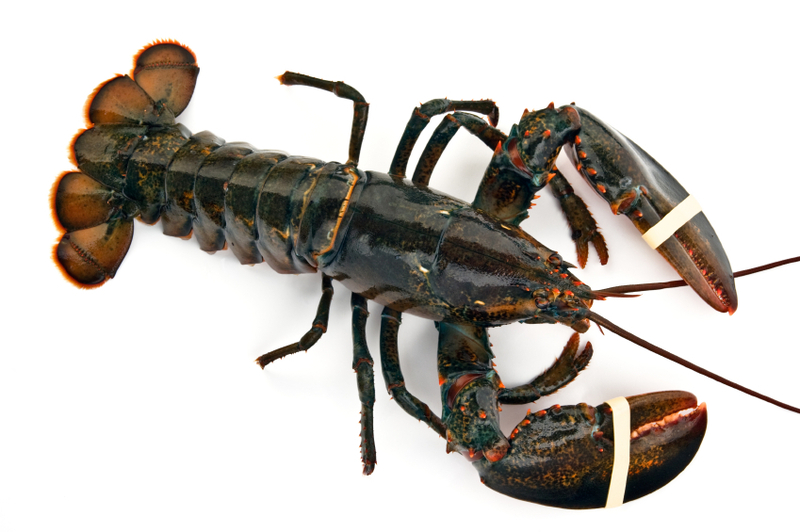 Order Maine Lobsters online now and enjoy our Lobster deals. We ship to your home, vacation resort, business, where ever you desire. We thank you as always for your business! Our Live Lobster products are shipped out from various ports in Maine, fresh and wild-caught daily. Quality Live Lobstersand Seafood at Competitive Prices . Christmas Parties, Bacquets & Gift Giving and Tailgate Parties. 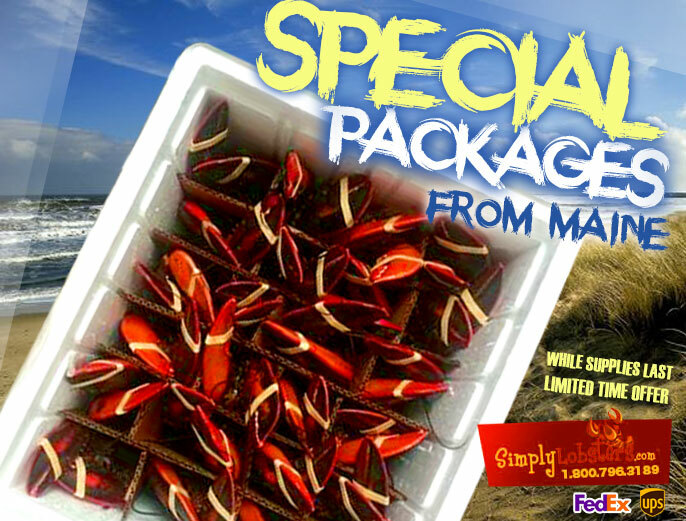 Check out our Lobster Package Deals and Save! Choose from a large selection of live or cooked Maine lobsters. What better way to celebrate a special occasion than to enjoy a nice meal of Maine lobsters? Love lobster meat but not the work involved in preparing it? Our lobster meat package is pre-cooked, ready to serve. Sold in 1 lb increments. Lobster tails are a great choice for any occasion. Our tails are freshly cooked or raw frozen. Order tails only or tails and steak (Surf & Turf selection). Can't decide what to get? e-Gift Certificates make the perfect gift for any occasion! We make ordering online lobsters convenient and easy. anywhere within the continental US. No orders are too large or small. 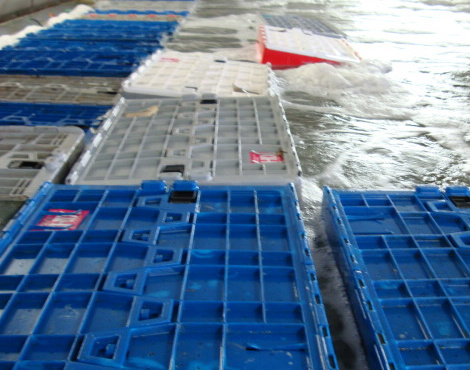 A fleet of over 300 boats and thousands of traps ready to serve your live lobster needs! "There is nothing better than sitting down with your family at dinner time for the holiday season and enjoying tender, buttery, melt-in-your-mouth lobster. 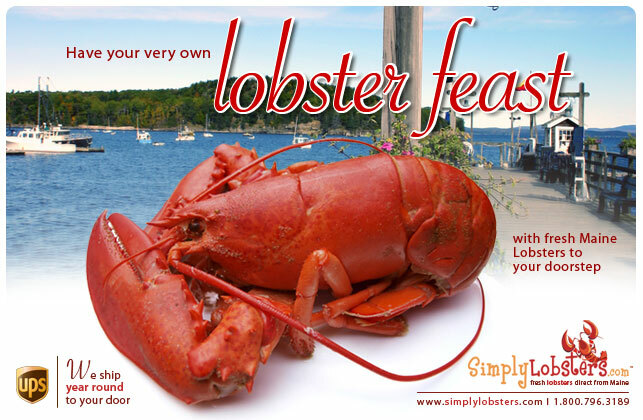 Simply Lobsters ships lobsters, as well as other types of seafood, that come directly from Maine, to your house, into the cooker, and onto the table. It's incredibly convenient, especially for those who don't live on the coast and don't have the opportunity to experience seafood at its freshest. Everyone should be able to enjoy the fresh and authentic taste of lobster from the coasts of Maine, regardless of where they live. If you're not dining on these delicious lobsters yourself, they also make excellent corporate gifts, as well as gifts for friends and family alike. Nothing is more satisfying than the natural, delicate, mildly-sweet taste of lobster straight from Maine. It's always fresh and filling and it's delivered on time, on demand. When it comes to fresh, delicious live lobsters delivered right to your door, nothing compares to Simply Lobsters. It's the best you can get!" "Wow, ordering lobsters direct and fresh off the boat is our preference; you guys have given us unbelievable lobsters! Thank you for visiting our website and considering us for your lobster occasion. 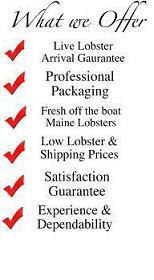 At Simplylobsters.com we are dedicated in ensuring you will receive quality Hardshell Maine lobsters each and everytime. We pick only the freshest live lobsters directly from our local boats and/or seawater tanks, then ship to you within hours from when the lobsters are caught. We transport live Maine lobsters to local restaurants, wholesalers and customers like you. 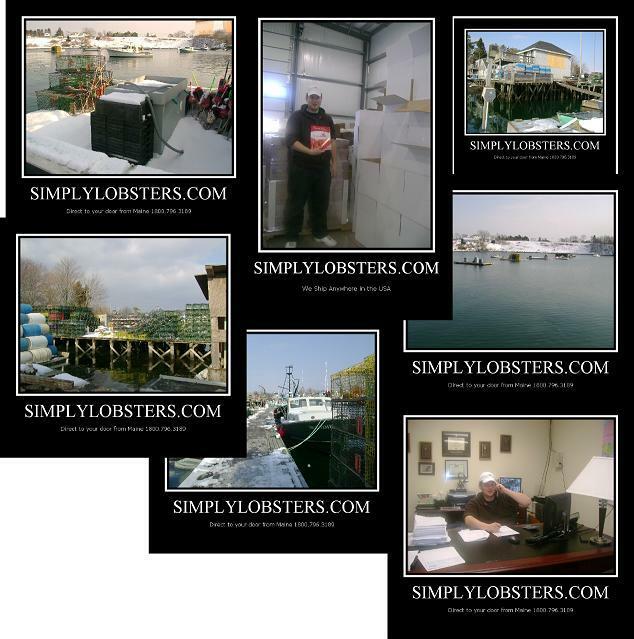 No matter where you are located, we ensure that you will get the freshest lobster products from Maine. Coupled with fresh products, great pricing and low shipping & packaging costs, our goal is to provide you with the best value money can buy, and end up as a returning satisfied customer. This is our way of doing business. From all of us at Simplylobsters.com, Thank you!